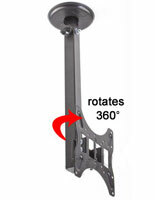 This hanging tv mount makes it easy to position a 36" to 65" monitor in a variety of convenient viewing angles. 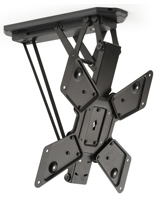 The space-saving ceiling bracket is capable of holding televisions with a maximum weight of 132 lbs. 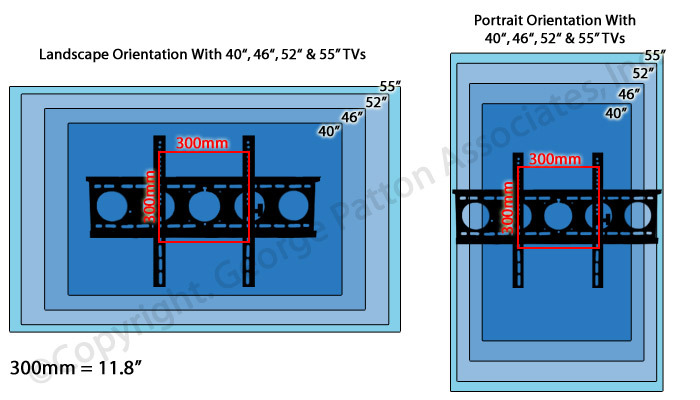 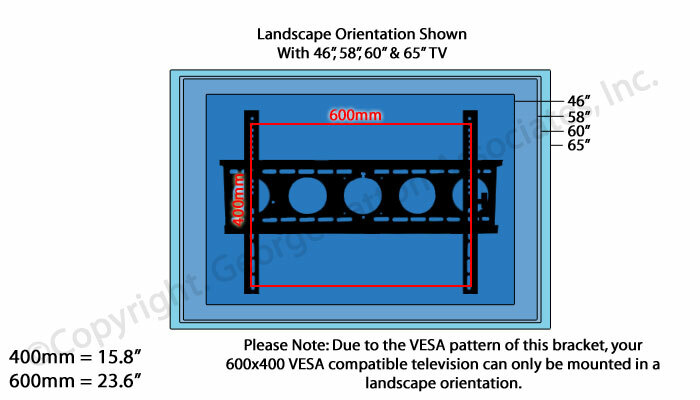 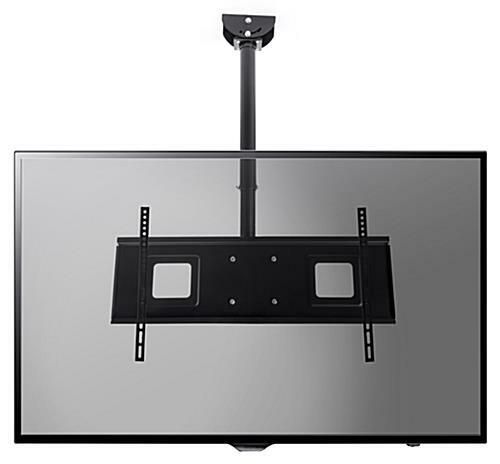 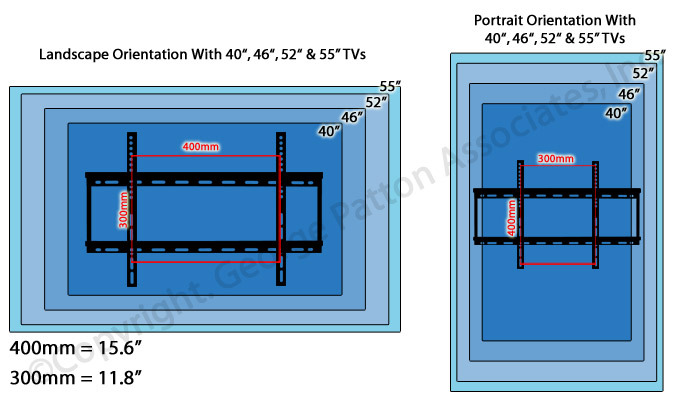 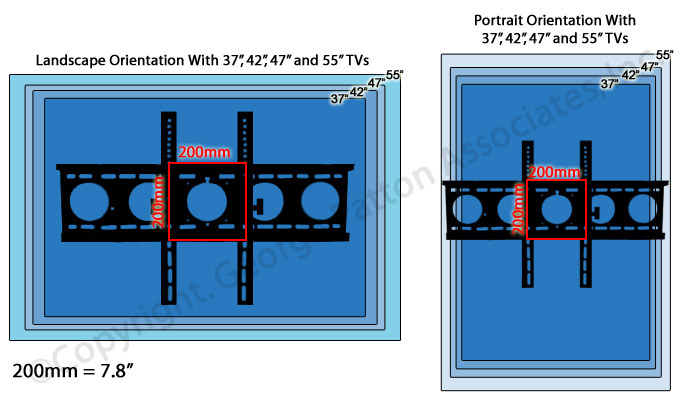 Compatible with standard VESA patterns of 200x200, 300x300, 400x300, 400x400 and 600x400, the adjustable hanging tv mount can be installed into solid concrete or wood for maximum flexibility. 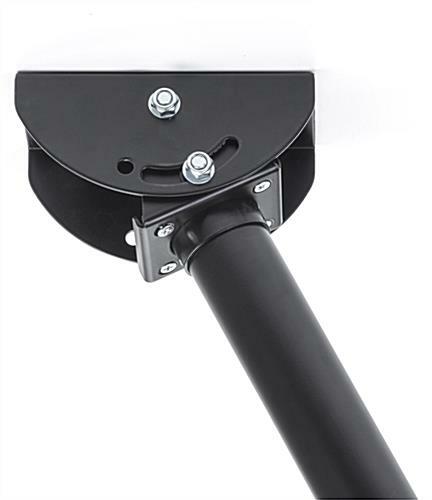 Adjust the ceiling base between 0-90° to work on either a flat or vaulted surface. 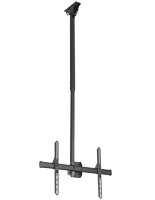 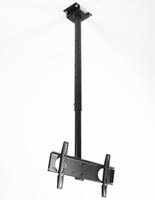 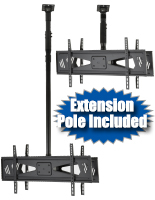 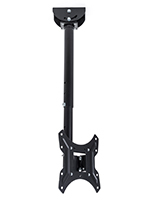 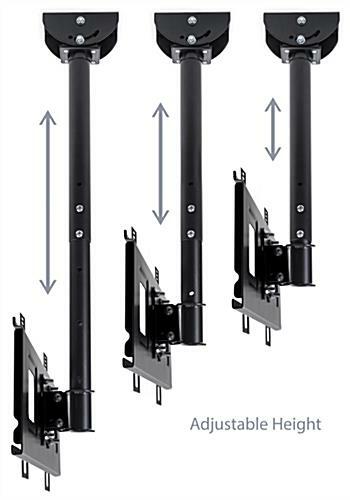 The telescoping arm adjusts from 20" to 32" long and features 360° rotation, so a flat screen can be positioned in a variety of large or small spaces. 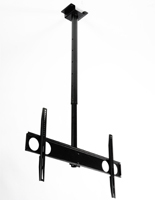 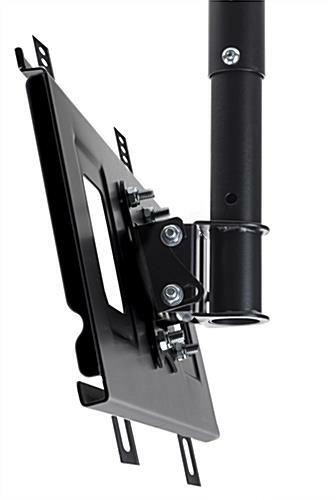 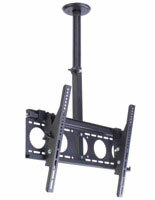 For more control, the hanging tv mount tilts up to 15 degrees downward. 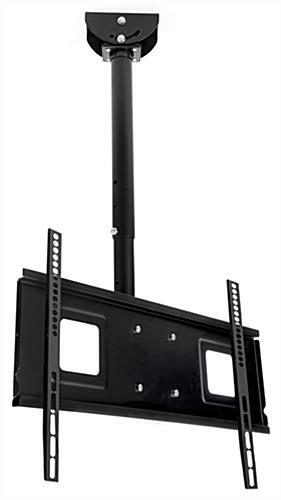 The strong steel components have a modern black satin finish to blend seamlessly with many television brands. 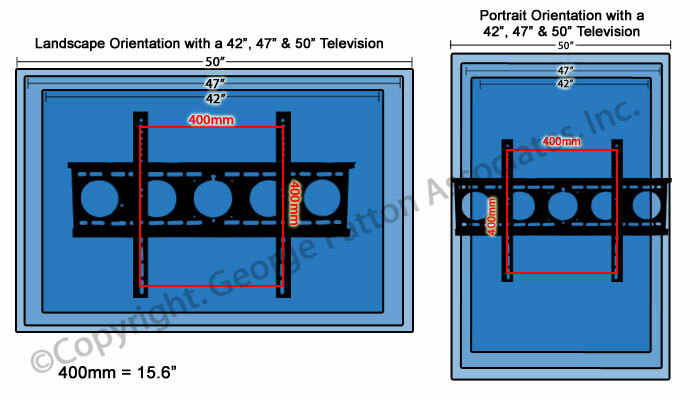 9.3" x 29.0" x 23.8"